When traveling Boston’s South Shore area one of my favorite places to visit is the town of Scituate. Originally settled in the 1600’s it is a place full of nautical history, blessed with a natural harbor. The harbor lent to the growth of the fishing industry with a fleet of ships home ported in Scituate. In order to make navigation into the harbor easier, citizens petitioned for a lighthouse to be built in 1807. 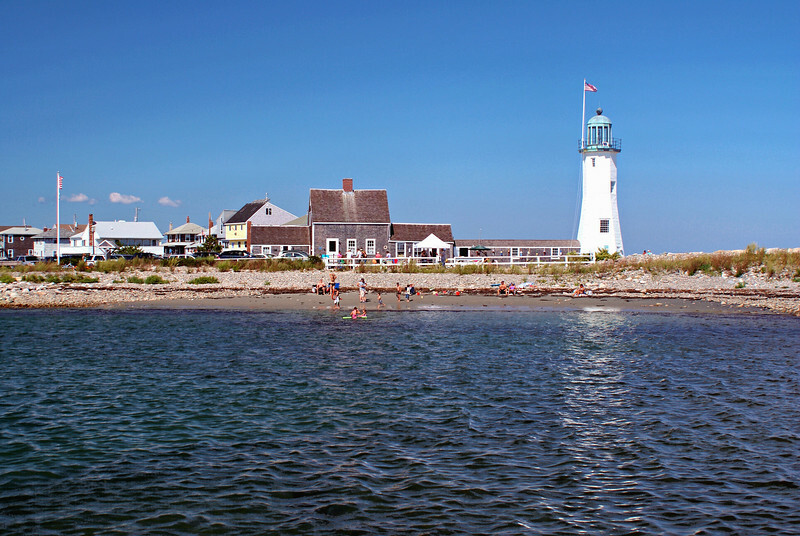 In 1810 Congress appropriated $4,000 to build a lighthouse on Cedar Point at the entrance to Scituate Harbor. Three builders from nearby Hingham were contracted to construct a 25 foot octagonal tower made from granite. They also completed a 1½ story Keeper’s dwelling, an oil vault and a well. Their work was completed 2 months ahead of the contract schedule. The tower was the 11th lighthouse built in the United States.